This is a great museum to go to if you are a fan of the writer George Sand. 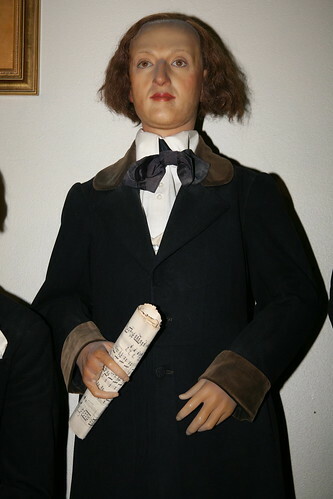 The Musee de la Vie Romantique (The Museum of Romantic Life) features an entire floor dedicated to George Sand and his life and times. The museum is located in a rather romantic garden off the street peaceful oasis at the foot of Montmartre in Paris. It’s one of three literary museums in Paris. Le Musée du Romantisme, the Museum of Romantic Life, recreates the atmosphere of the artistic life from the romantic period in France. The second floor of the museum contains a wealth of romantic works of art from various artists like Ary Scheffer and Walter Scott and French Romantic Drawings from Paris Private Collections, by Louis-Antoine Prat. There's also a romantic garden where you can relax after taking in all of the paintings and sculptures as well as other Romantic art that the museum offers. The courtyard is peaceful and beautiful with a stunning array of plants of flowers, in the midst of which coffee can be enjoyed. Access to the permanent collections is free of charge. Temporary exhibitions are free for children under 14 years old, the disabled and their caretaker, and disabled veterans. 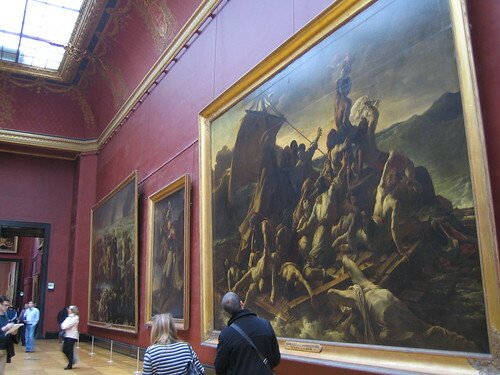 http://www.travelsignposts.com/Paris/sightseeing/museum-of-romantic-life - Unusual Paris Museums and Galleries.